This blog, though technical in nature, reflects who I am and that is a woman (if you haven’t figured it out yet). Prior to beginning my job search, I knew that I wanted to work at a company that was inclusive and valued diversity in tech. So I made a game plan to ensure that I applied at the right company. I developed a list of questions based off of Katie Thomas’ blog post that provided a sort of litmus test to determine if gender bias was present. Lastly, I immediately looked up companies that had a reputation for recruiting, hiring, and promoting women in tech. I consulted the Anita Borg Institute’s “Top Company for Women Technologists” and looked up open positions with those firms. At first, companies not on the list, or with no stated diversity mission, would point out that they cared about their employees, but when I looked at the faces of the engineering team either online or in person, I realized that I was the only woman and the only Latina. In addition, when I pointed out that there were no women on the team and would be the only (or first one), they merely responded with, “Yeah. But we wanna hire the best engineers.” I could not help but feel that I was passed over by these companies because of perceived bias of women engineers. When I received an email from one the companies featured on the list, I jumped at the chance and was pleasantly surprised. In comparing my recruitment experience with this company as opposed to other tech firms, it was obvious from the get go that this company saw the added value of interviewing an engineer that happened to be female. Why? Because the CEO and the company made it their mission to hire more women and created diversity goals. The recruiter made it known that she wanted to hire me before any one else did and it wasn’t just because I had lady parts. Yes, I had the skills (I can build full-stack applications, know git, and build tools), but I also brought something else to the table: the ability to bring a different perspective to tech that wasn’t from the white male or Asian male lens. My diversity made me an asset to a company that worked with a wide-range of clients that served thousands of different markets. With other companies, it was made known that conference attendance was an after thought. I mentioned the words, “Grace Hopper”, and many engineers looked confused, while the managing director I interviewed with mentioned that a whole contingent of women attended and presented and the conference every year. In addition, my 20% time could be used to present at conferences and that the company encouraged its employees to do so. The second interview was a behavioral interview that attempted to get a feel for how I worked with others and problem-solved with difficult situations. Before the first question, the interviewer who happened to be female, told me her story that included how she was able to change positions because she had children. This was the sort of information I would have loved to ask the other (few) women engineers at other companies I interviewed for in my job hunt. Its this perspective and offering of relevant experience that told me that my experience is just as important. When researching the company, I found countless company brochures and marketing materials that stressed the importance and value women, people of color, and queer-identified employees had in the organization. 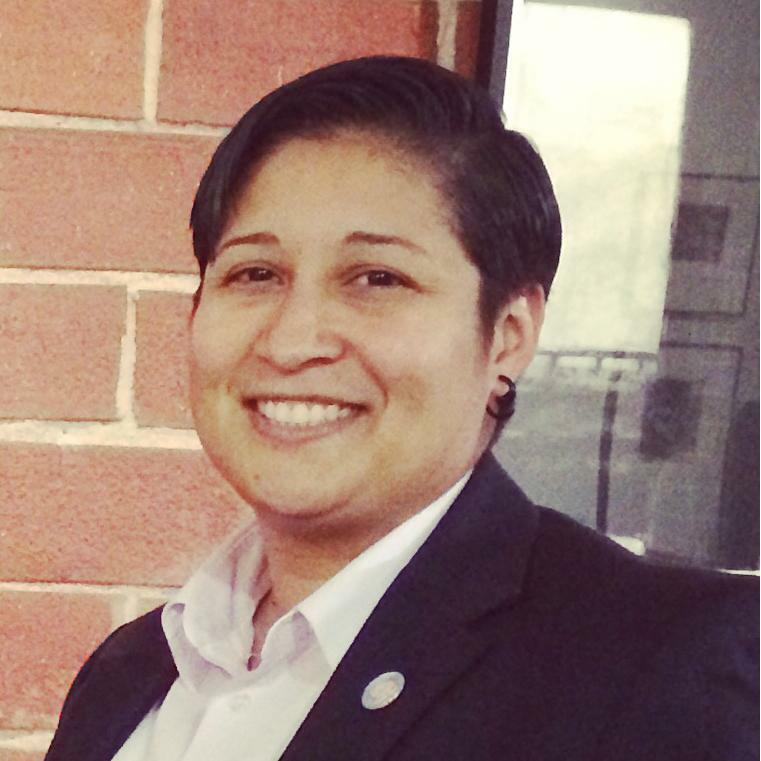 From their LGBT employee interest group that not only actively presented at conferences, but also shaped company policy to their Latino group that advocated and mentored other employees to move into senior positions, this company made it known to me, Kim Merino, a Queer Woman of Color, that I had a place with them. As a full-stack engineer, when my imposter syndrome wasn’t having one of its days, I knew that I was in great demand. But finding the right company was difficult because I knew the tech industry has a terrible reputation for diversity and unconscious bias. Needless to say, its no wonder that women in tech leave the field in large numbers. True, I may be biased because in the end, I did get the job. But when the Global Manager reaches out to you personally after your interview, it makes you feel important and welcomed even before your first day. This feeling of having my experiences as a woman valued makes me more productive and willing to stay with the company for the long haul, even before I step foot in the office. CONGRATULATIONS!!!!! I am sooooooo happy for you!!!! and absolutely thrilled that you are following your dreams; making a diff in the world at large (and in computing too). I am in AWE of you!!!!! Lots of HUGS!!!!! !